What they will be doing remains unclear. Update, 6/01/2015, 5:05 PM: Billboard confirms that Drake and Pharrell will be involved in Apple's new streaming service, though the actual nature of their involvement remains unclear. A source told Billboard that earlier this year, Apple managed to convince Drake not to join the group of artists supporting Tidal. However, working with Apple will not earn the rapper the $19 million sum reported by The New York Post. Apple is apparently continuing its bid to outshine Tidal and Spotify with the relaunch of its Beats streaming service by negotiating deals with major players—including Drake—to appear as guest DJs on iTunes Radio. Back in April, it was reported that Apple were chasing the likes of Florence and the Machine and Taylor Swift for the exclusive streaming rights to their music. 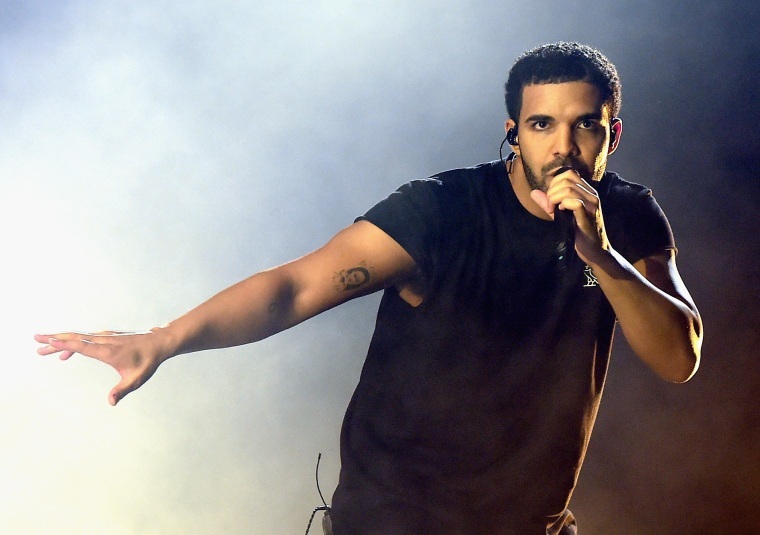 Now, The New York Post reports that the company is in a $19 million negotiation with Drake to fill a guest DJ slot. The company are also reportedly wooing Pharrell and David Guetta. Nothing has been signed yet, but both Drake and Pharrell have previously been spotted rocking Apple watches early. Attracting celebrity clout to the re-vamped Beats streaming platform seems to be just one strand of Apple's competitive strategy; last month it was investigated by government regulators for apparently putting pressure on other platforms to drop their free tiers (Beats Music, of course, will not have one).